I don’t know about you, but these days the family environment is a busy one when it comes to IT and computers. My eldest daughter has her own laptop and my youngest daughter has an IPad. They both have smartphones too. As well and texting and all the other things teenagers use their mobile phones for, they also take a lot of photographs that want to save. Saving this data on the family iMac was fine – there was plenty os space and it was an easy thing to achieve but as time went by there was more and more data to store – more photos, more videos and now music too. Using the internet to search for an answer to my problem, my attention was drawn to Network Attached Storage, otherwise known as NAS. Basically these are devices that connect to the router in your house an allow anyone connected to that router to use them. Great I thought – I’ll get one of those ! So I did, everyone was happy. 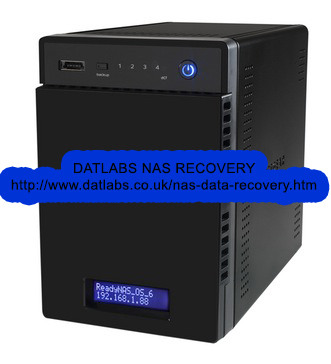 It came in a nice box with a link to Datlabs NAS Data Recovery Services, who I could call if I needed any technical assistance setting the NAS up and getting it working correctly. I just plugged it in, typed our password and it installed itself on our network. The first thing to do was to transfer all our photos, videos and music data from our family Mac onto the NAS. That was easy – a simple drag and drop operation saw that completed without any problems. There was a lot of data – some 50GB or so… How do teenagers make so much data?? All of which was of course, essential to them. Anyway with that done I set about cleaning the Mac up and deleting files and folders. Another 30 minutes or so and this was completed. The first thug I noticed was the the machine began to run a lot quicker – which was a result I was very pleased with. Next I took a look at the configuration of our new NAS device. It’s a 4 disk Linux based storage device that runs RAID 5. This means that the data it holds is spread across the whole 4 disks instead of one. That’s a bit odd I thought but after closer investigation I learned that this was infact a good thing. It allows one drive to fail and my data to still survive without being lost. RAID 5 also provide enhanced data read speeds too – something that was evident from the moment we began using our NAS file server concurrently. My daughters could watch their movies while I was able to stream music from it. This all worked fine – something that we could never do before on the Mac as it was just not quick enough. So introducing a NAS RAID file server into our home environment has been a great success. Installing it was easy and I didn’t need to contact Datlabs for help in setting it up, I do think I’ll keep their link though just incase anything happens to the NAS that I can’t sort out myself.